The first recipe posted on • The Night Bakery • is an easy one: my hands-down favorite granola. Please note: all recipes will include a PDF you can download. 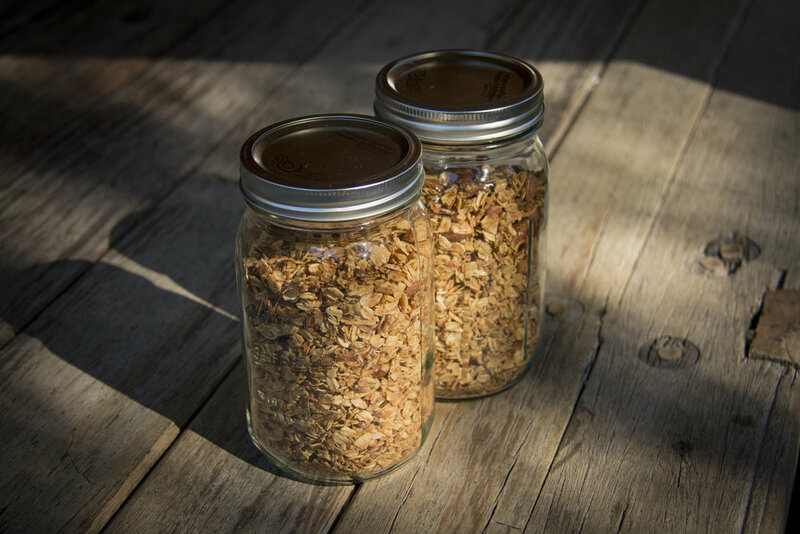 Homemade granola is nothing like what you buy in a supermarket, and so worth the effort. This recipe uses simple ingredients that are easy to keep on hand, and the flavor is insanely good. Toss oats, almonds and coconut together in a large bowl. In a separate bowl, mix together remaining ingredients. Combine all ingredients and stir until evenly mixed. Spread granola thinly onto 2 regular or 3 small baking sheets. Bake for 1 hour and 20 minutes, turning/stirring every 20 minutes. Be careful that it does not brown too quickly. 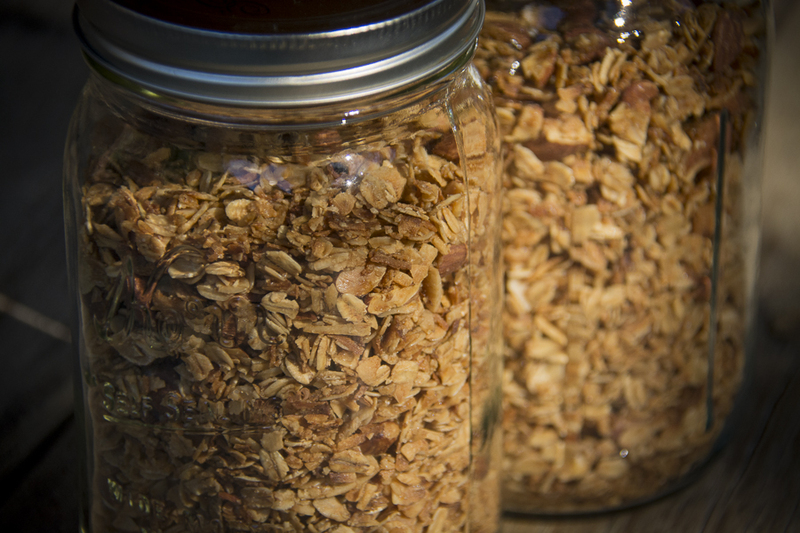 Let granola cool completely before storing.